Classic Red Flavour Concentrate 30ml by The Yorkshire Vaper is a familiar tasting blend of red berries, black grape, eucalyptus, aniseed and menthol. Classic Red Flavour Concentrate 30ml by The Yorkshire Vaper is a familiar tasting blend of red berries, black grape, eucalyptus, aniseed and menthol. 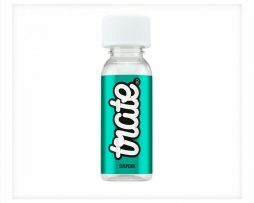 Many vapers switched from smoking by using a flavour that is very similar to this bold and punchy concentrate. The fruity flavours remind you of cough sweets because of the strong menthol and eucalyptus blast on the exhale. It’s enough to make you see red and stare!